The player pictured at left is Taro Hirose of Michigan State, not Akiro Hirose who is his younger brother that plays for the Salmon Arm Silverbacks and is committed to Minnesota State. 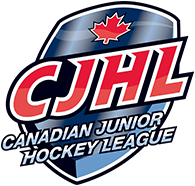 The national Canadian television schedule for college hockey was announced late last week by College Hockey Inc. and once again, every game will include talent produced in the BCHL. The NCAA has committed to 35 games in November and December to be broadcast on TSN, mainly via their website (TSN.ca) and on their TSN Go app. Viewers with access to channels such as the Big 10 Network, CBS Sports Network and the Pac-12 Network will be able to see even more games. CLICK HERE to see the full Canadian TV schedule. Several games will be broadcast on TSN TV channels as well, including tonight’s matchup of the past two NCAA champions in Minnesota-Duluth (2018) and Denver. There is plenty of BCHL intrigue in tonight’s game as Minnesota-Duluth is coached by BCHL parent Scott Sandelin, whose son Ryan plays for the Penticton Vees, and Denver has eight BCHL graduates on their roster including Vegas Golden Knights draft pick and Wenatchee alum Slava Demin plus Vernon Vipers product and Montreal Canadiens draft pick Brett Stapley. Other highlights of the NCAA broadcast package include next week’s Friendship Four event from Northern Ireland that sees Yale, Union, Boston University and UConn playing two games each from Belfast. 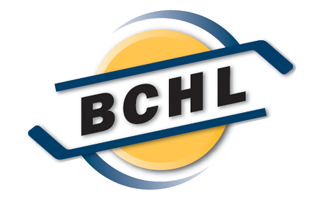 There will be 19 BCHL alums and 25 NHL draft picks participating. The NCAA Frozen Four national championship will be broadcast April 11 to 13 from KeyBank Center in Buffalo, N.Y.